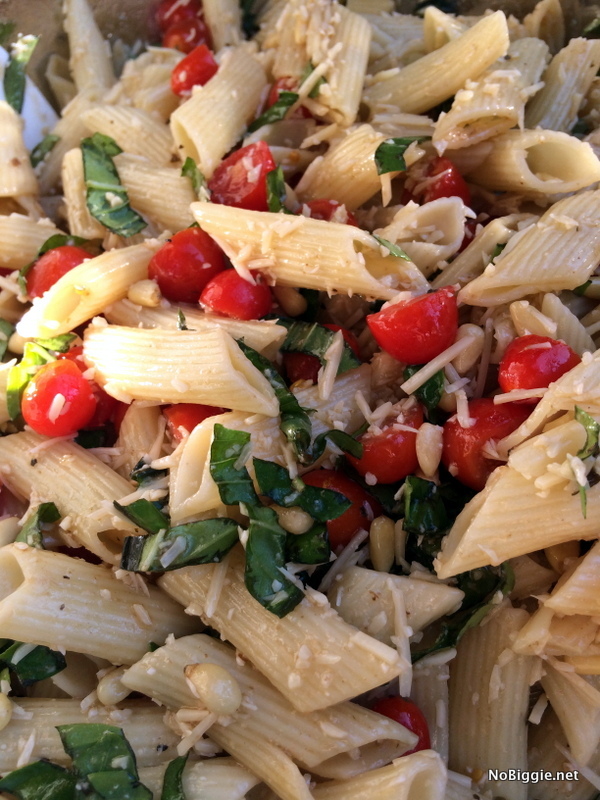 Caprese Pasta salad loaded with all your favorites from a tradition caprese with pasta plus the crunch of pine nuts. 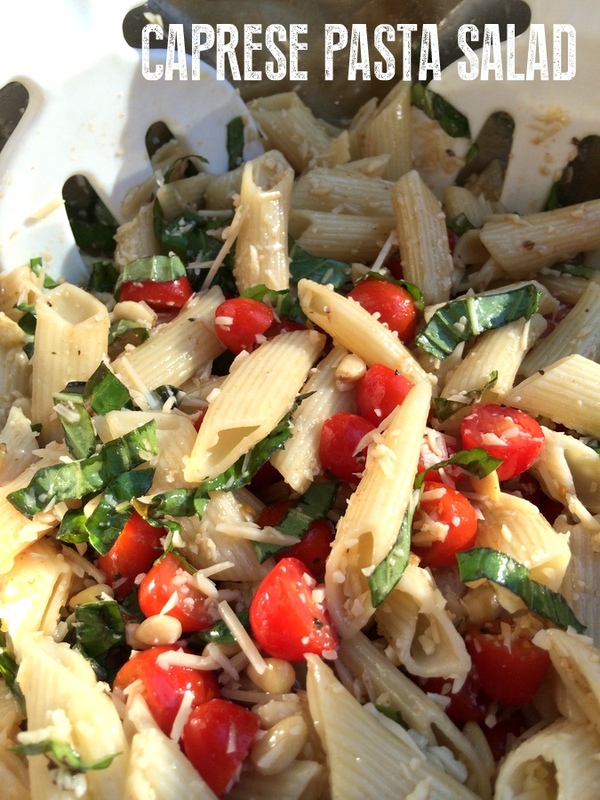 We had a cookout up in the canyon, and I brought this Caprese Pasta salad and it was so good! It’s always a good sign when nothing is left in the bowl when it’s time to go home. This salad is always a hit at big family gatherings. If you have a bunch of cherry or grape tomatoes to put to good use, this is the salad. I love a classic and simple caprese salad, you just can’t beat it. If you’re looking for something a little more substantial, this salad makes a great side for a BBQ, picnic or cookout. -Have all ingredients chilled ready to go in a big bowl. -Shake the dressing and toss the salad with one half of the bottle of the balsamic salad dressing. 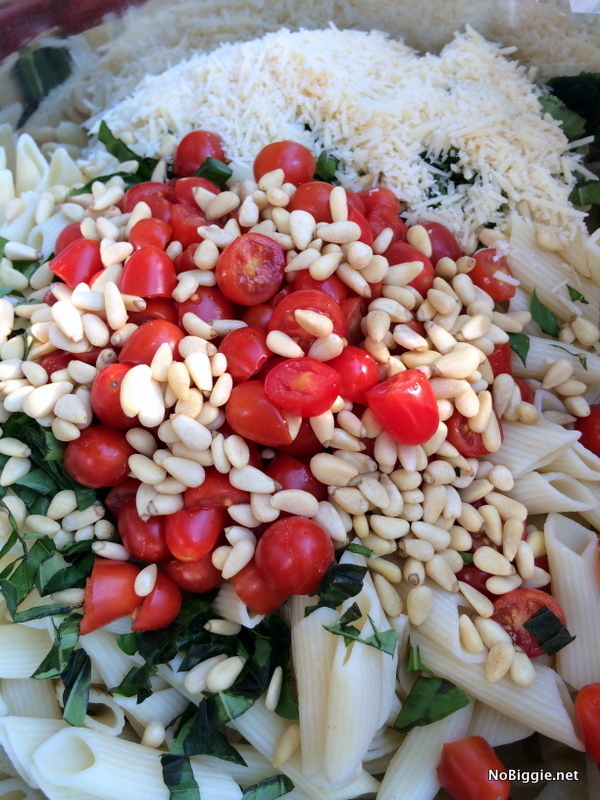 The classic flavors of a Caprese Salad with pasta and pine nuts. We love this salad! Have all ingredients chilled ready to go in a big bowl. Shake the dressing and toss the salad with one half of the bottle of the balsamic salad dressing. 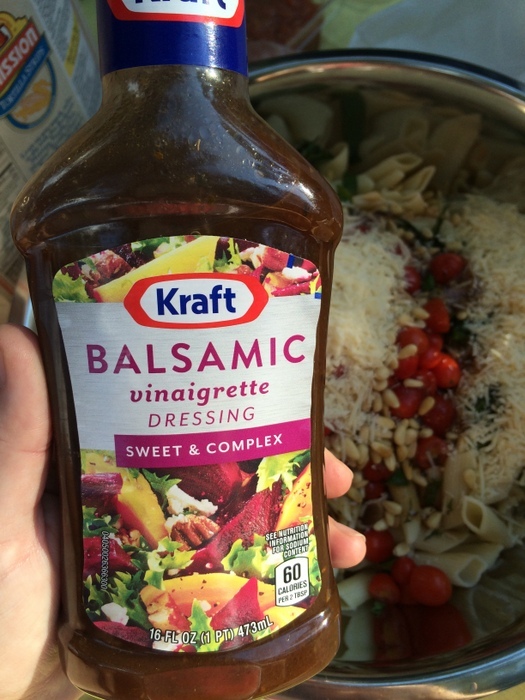 This is the type of balsamic dressing we use, and it tastes so good with this salad! This salad is great for a big group. 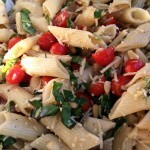 Garden fresh tomatoes and basil will make this salad! It’s so good, I hope you enjoy!